Do you ever feel like the air your breathing in your living room isn’t quite clean?… or that maybe , with a house full of 6 people and 7 cats, running the vacuum once a week just isn’t enough to make you feel like you’re keeping your home as clean as it could be? Well that’s been my pressing issue lately : our home hasn’t been clean, even with all of the vacuuming and dusting! 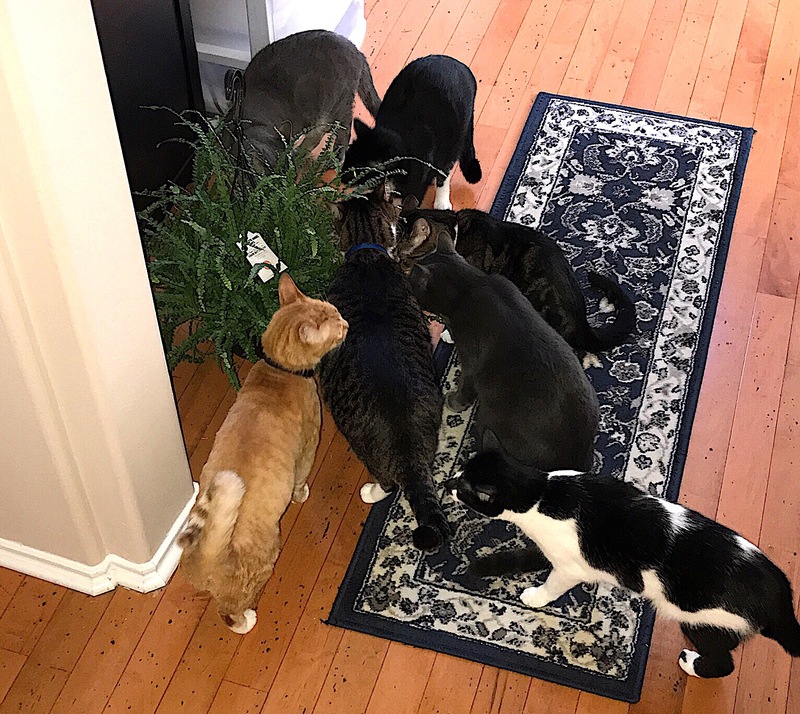 And then I was reminded about what our kitties, back when it was just 3 kitties, did to their cat grass and just could not imagine trying to tame the new additions to our family around plants. 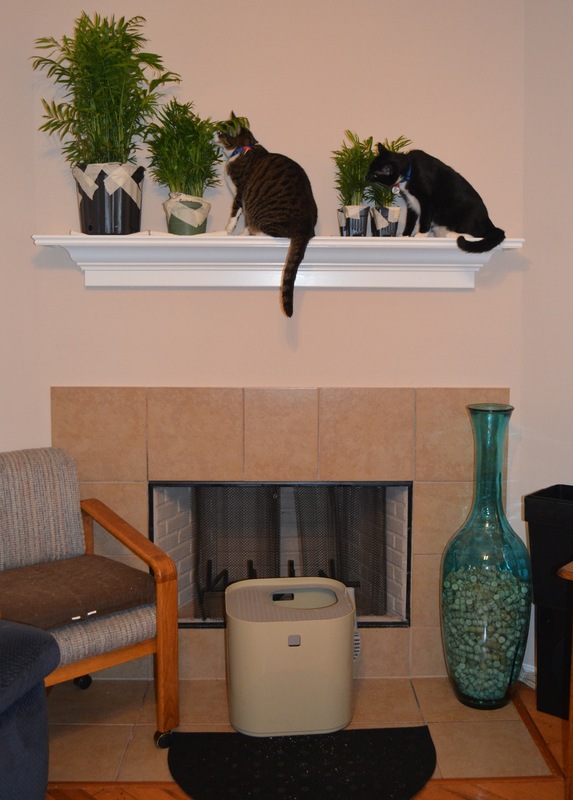 But as we’re unpacking, settling into our new home that is twice the size of our old place AND having 7 cats now, we wanted to give indoor plants a real try, to help clean our air, even if it meant guarding the plants ourselves! 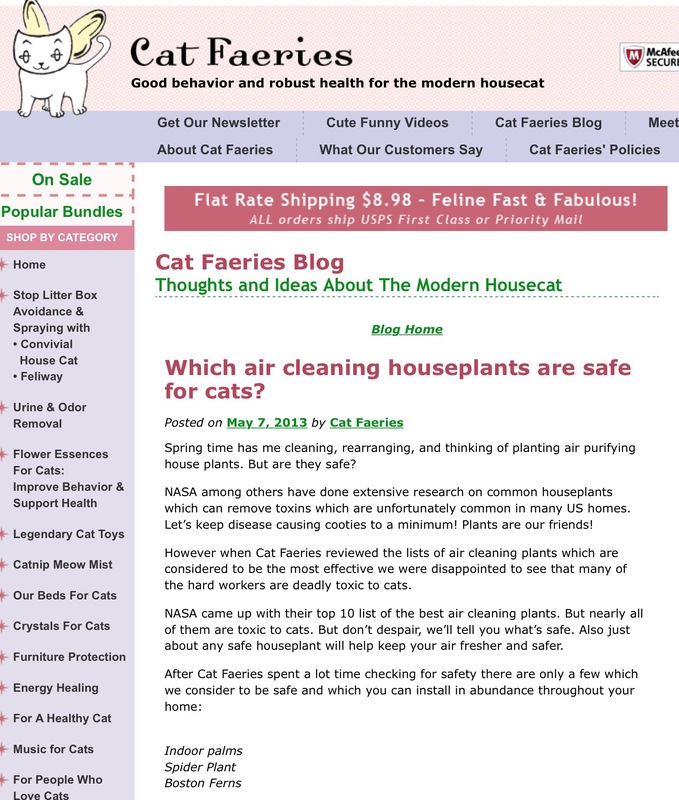 As Cat Faeries write in this blog post , http://www.catfaeries.com/blog/which-air-cleaning-houseplants-are-safe-for-cats/ , there is a long list of air purifying plants but a lot of them are toxic to cats. We were excited to learn about those that are not toxic to cats and decided to give them a try! 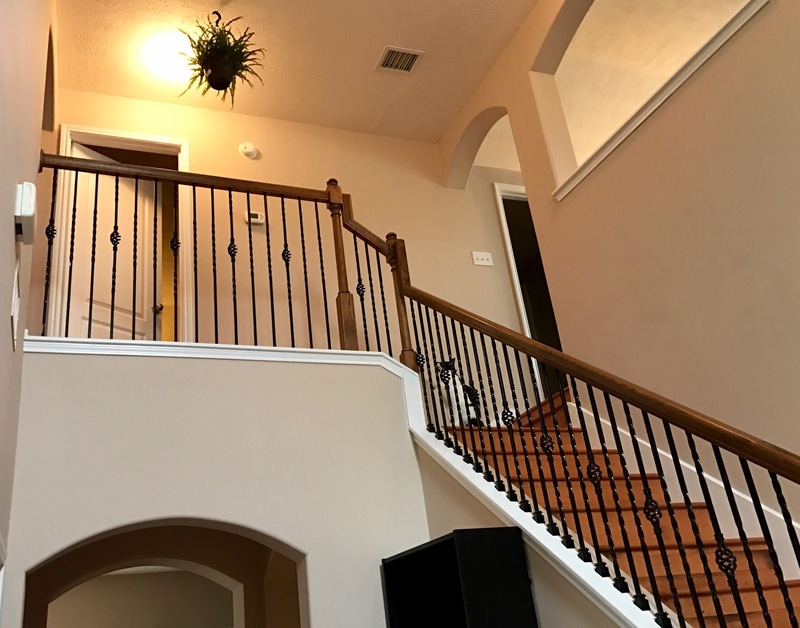 We thought long and hard about what we wanted to bring into our home and decided to “decorate” our home with Bamboo palms , a ponytail palm and Lemon Button ferns. As for some of the leaves on the plants, well they’ve been chomped on and enjoyed , if you will. Just add a plant to a room and instantly you feel healthier? The babies are still surprised about the random foliage that keeps appearing in the house and MUST investigate it immediately. 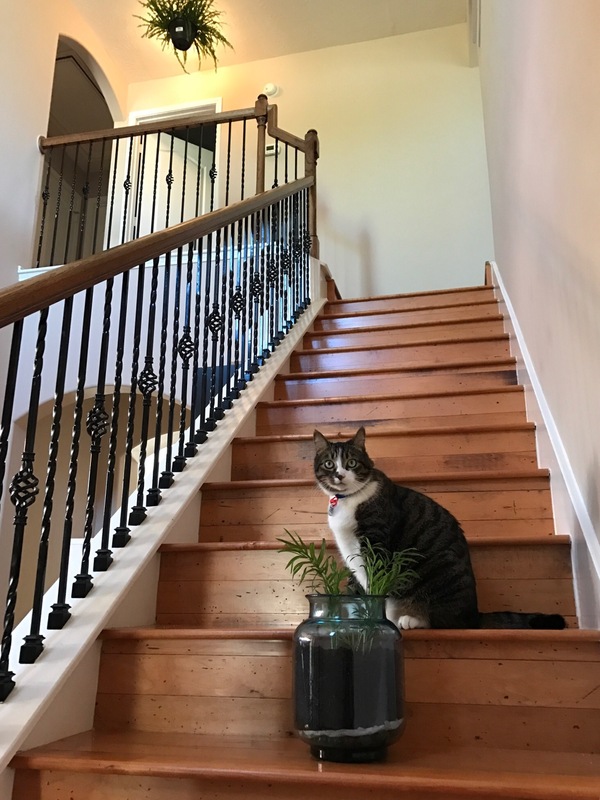 Or stare it from the steps… or sleep near it to keep a “close eye on it”. Haha They really are a hoot! 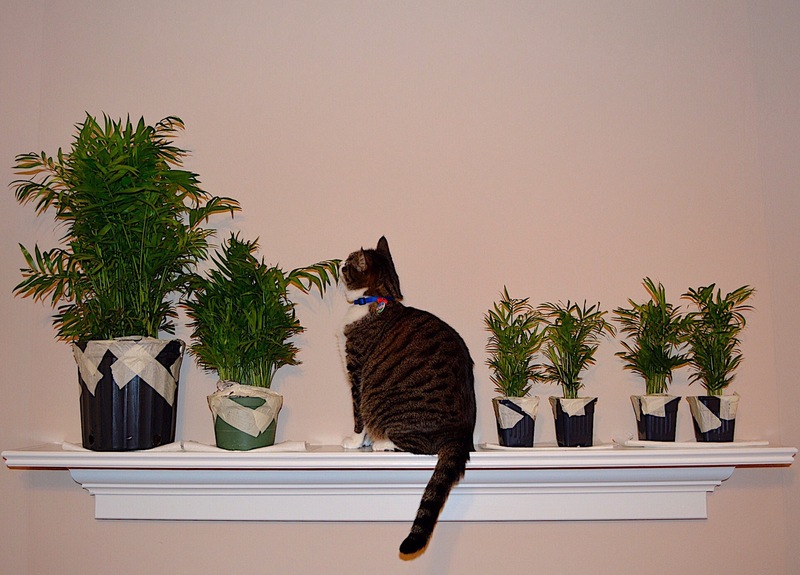 I wonder how other cats react to plants. 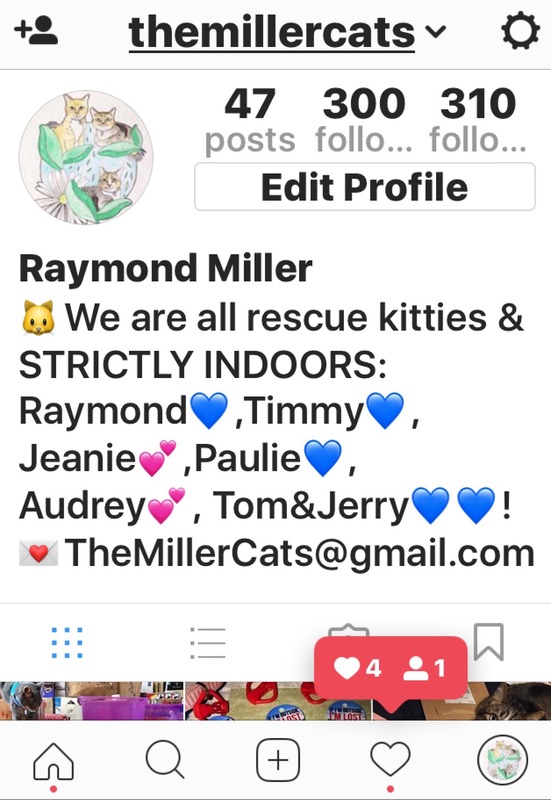 Do you have any pets and indoor plants? What do they think about them? Also, does anyone have any tips on how to keep these indoor plants alive? 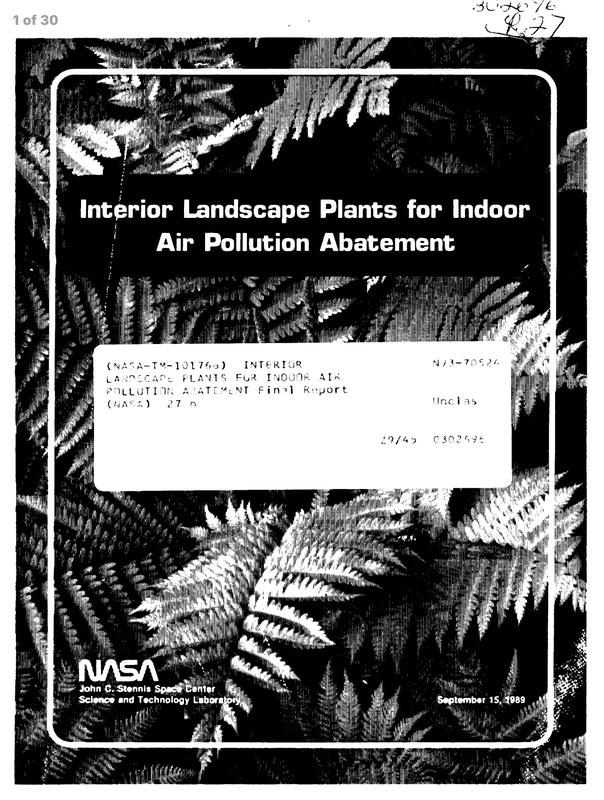 We have never had any plants indoors and every plant that I’ve been given has died on me… I’m wanting to learn and really give these plants the best chances of thriving in our home so that they can take care of us right back with clean air! Previous Previous post: #MakeSomething Monday! Next Next post: #FeatureFriday : Purrvana Kitty Kush and a GIVEAWAY!